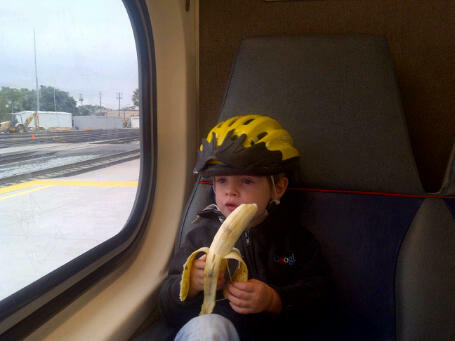 With a banana on a train. Also a bike helmet. You can’t be too careful around tropical fruit. Next Next post: Giveaway! You could win this string cheese!